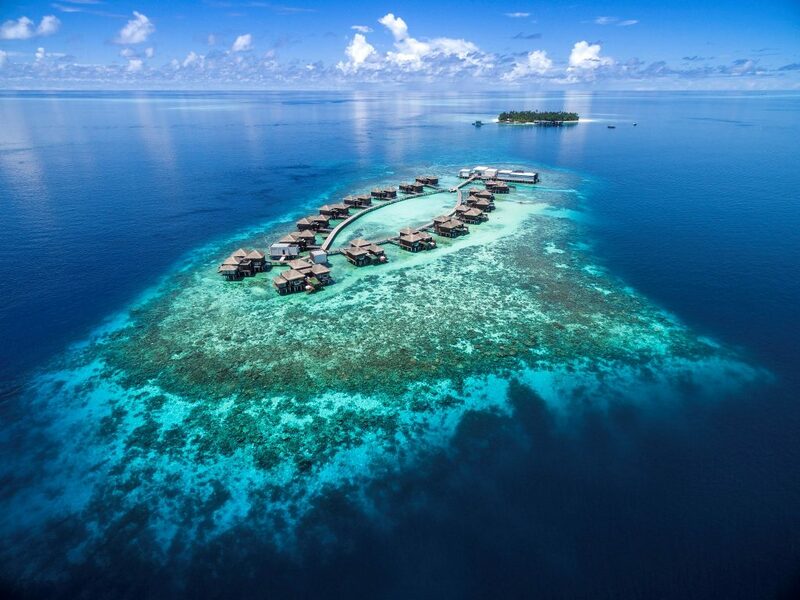 A holiday at Jumeirah Dhevanafushi truly means luxury for all your senses… Located in the tropical paradise of the Gaafu Alifu Atoll, 90 minutes by sea plane from Malé, no wonder many consider this remarkable place to be Maldives’ number one premium resort. 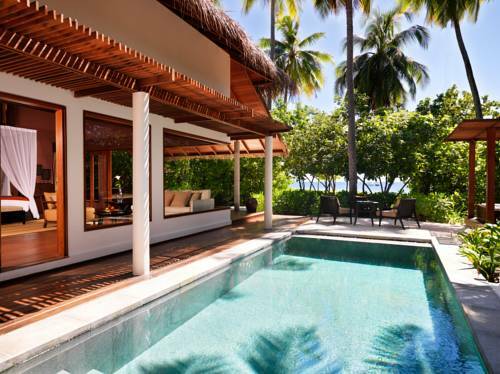 The intense blue lagoons with stunning coral and the silky white beaches make the resort a tropical delight for every traveler on their Maldives holidays. Why not begin the day by the sea shore, dipping your toes in the warm waters while you watch colourful fishes play in the lagoon. 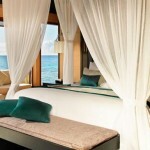 As a guest at Jumeirah Dhevanafushi you will be pampered to the max and return home feeling more relaxed than ever. 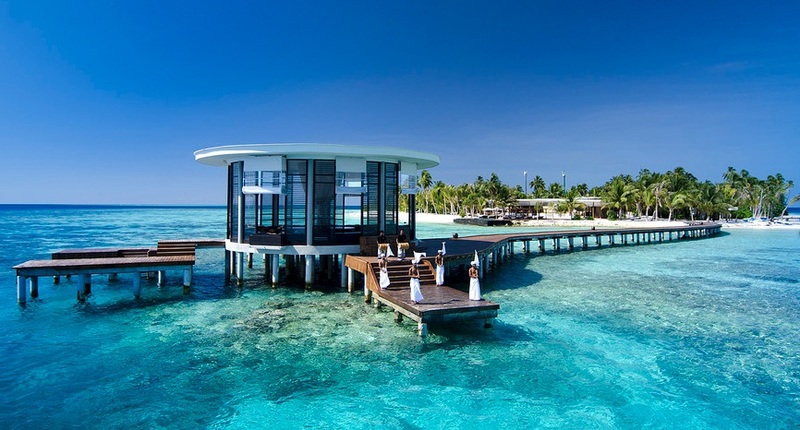 The spa with its exclusive treatments and highly professional staff is a gem… If you prefer a more active Maldives holiday, you can make use of the impressive swimming pools, go scuba diving in beautiful reefs, try water-skiing or even go on one of the many exciting excursions on offer. 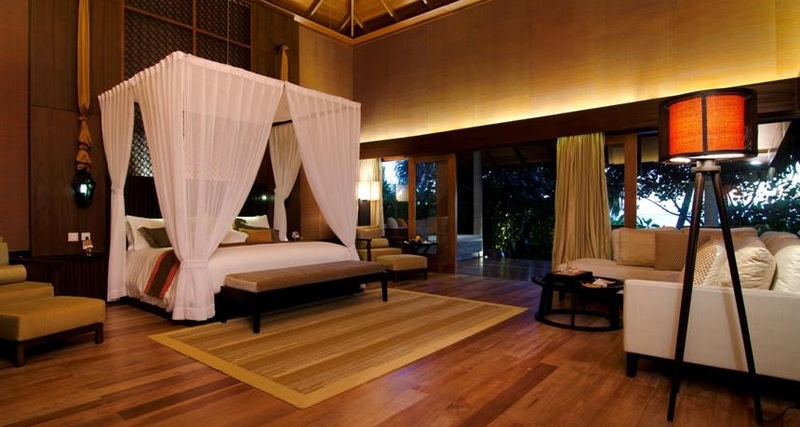 After a peaceful dinner with the sunset over the Indian Ocean as a backdrop, you will enjoy a good night’s sleep in your stunning villa. 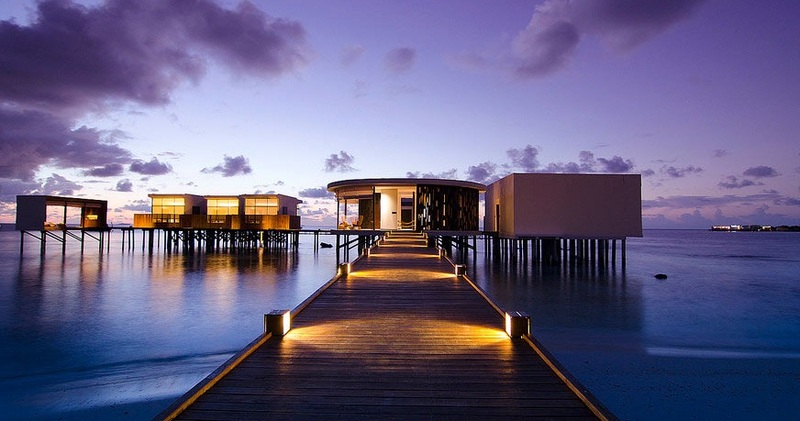 The amazing Maldives hospitality, culinary delights (seafood, BBQ, international cuisine…) and the stunning tropical surroundings make Jumeirah Dhevanafushi the ultimate choice for a luxury holiday in Maldives. 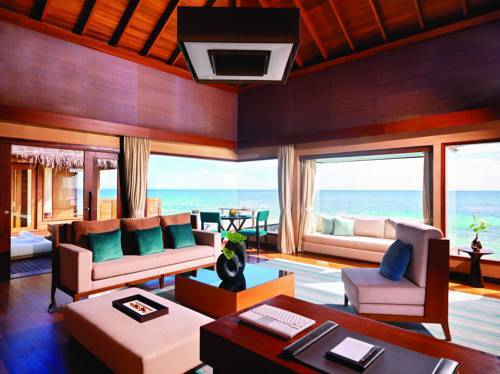 The Beach Revive Villas (206 sqm) are all beautifully-appointed and have stunning panoramic views of the Indian Ocean. They are located on the south side of the island. 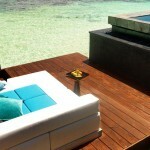 You will have your own private sundeck and swimming pool, as well as a personal butler service. 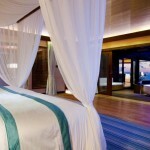 Other features include a lovely outdoor rain shower, advanced in-room technology and luxury bathroom amenities. 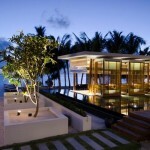 The Ocean Revive Villas (270 sqm) are built above water which makes you feel at one with nature. They are located on the north side of the island. 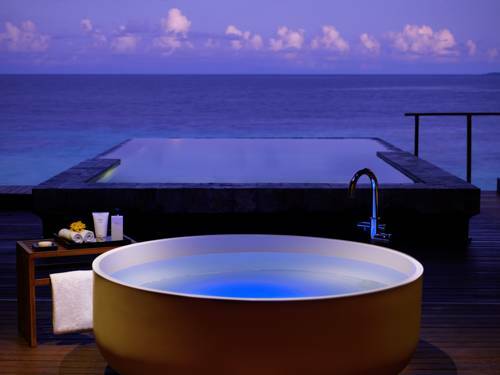 The views of the Indian Ocean are stunning and your personal butler will make sure your Maldives holiday is exactly how you wish it to be. 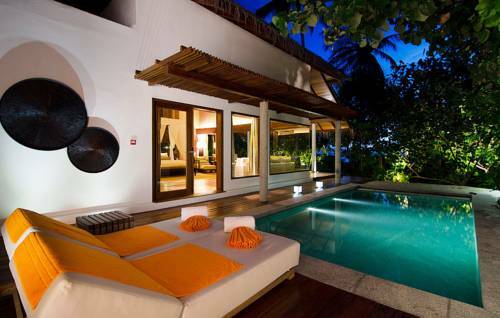 A private plunge pool really sets this villa off, as does the stylish décor. 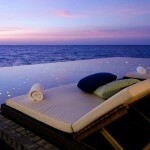 These villas either enjoy magical sunrise or sunset views. 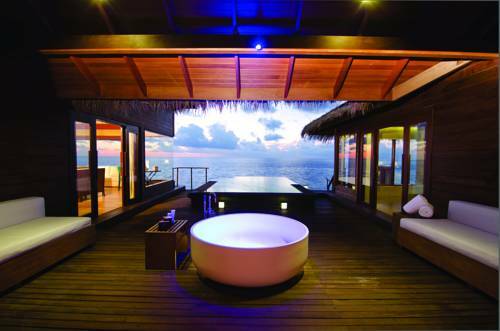 The Ocean Sanctuary Villas (340 sqm) are the epitome of luxury with two bedrooms, stunning views and a private patio with pool. 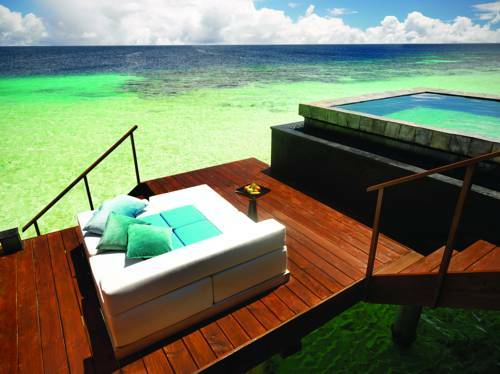 The lagoon is right by your feet, which means you’re never far away from warm waters and tropical fish. 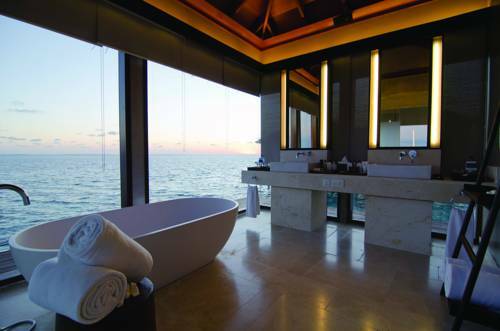 With serene privacy and attentive butler service, the Ocean Sanctuary Villa will exceed all your expectations. 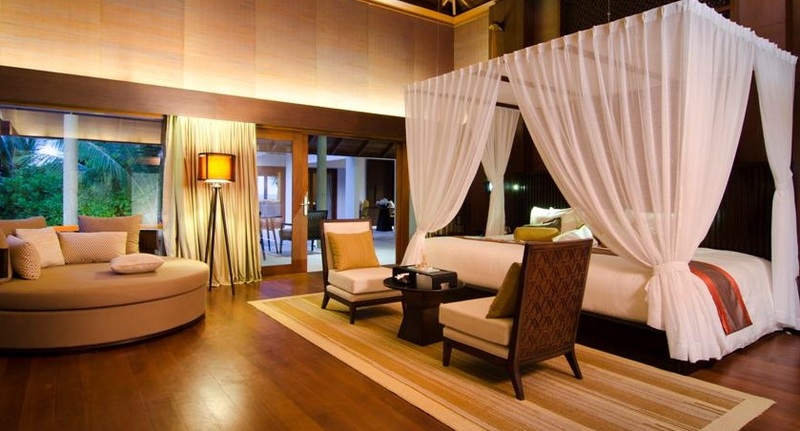 Jumeirah Dhevanafushi takes pride in being a full-service resort. 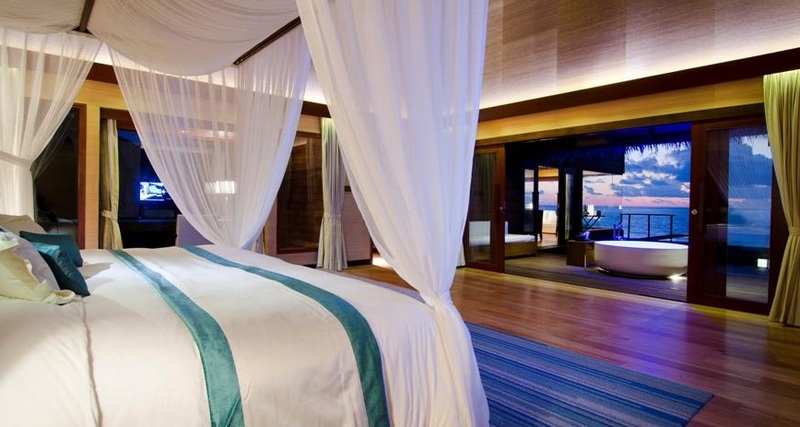 Some of the exclusive facilities include personal butler service, maid service, fantastic restaurants, incredible swimming pools and library access. 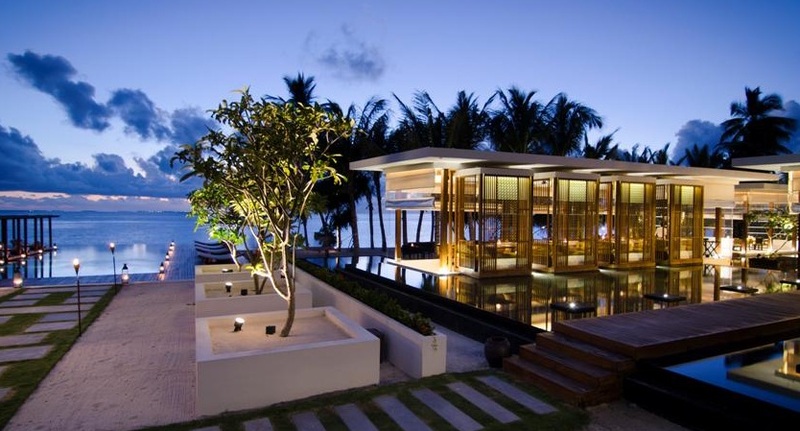 The innovative overwater gymnasium will inspire you to exercise before or after you relax on the private stretch of the beach. 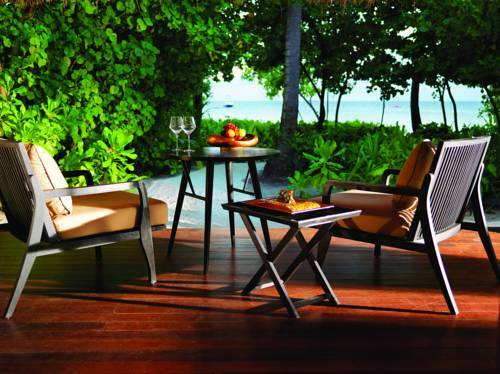 As it’s a beachfront resort you have the best views of the Indian Ocean at your doorstep. 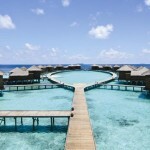 Talise Spa offers a wide range of treatments for guests enjoying a tranquil Maldives holiday at Jumeirah Dhevanafushi. 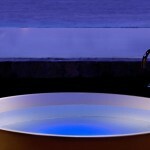 The spa therapies, led by highly experienced therapists, are all about rejuvenating yourself and leaving the rest of the world behind. 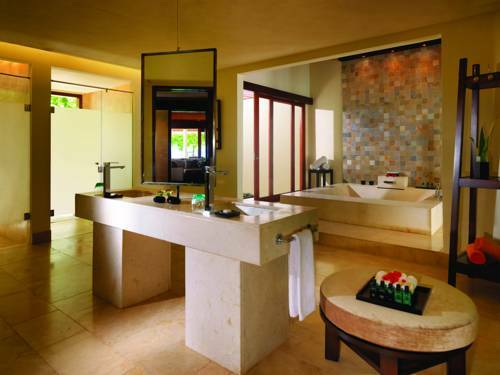 Treatments include deep tissue massages, facials, refreshing bathing rituals and couples massages to enjoy together with your partner. 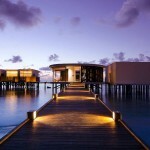 At Jumeirah Dhevanafushi you have the choice of dining at a selection of fine restaurants. 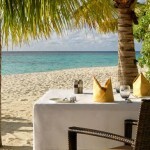 With the beautiful Indian Ocean as a backdrop, each meal will be an unforgettable experience. Azara on the western side of the island is where you will enjoy a delicious breakfast in the morning, as well as inspirational lunches and dinners. With both hot and cold dishes, a wide selection or tropical fruit and mouth watering pastries, this is the ideal place for any meal. Mumajaz is the beach BBQ of the resort. 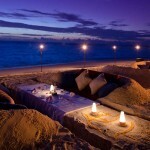 Enjoying fresh seafood grilled under the stars will make you feel like you’re in heaven. Johara is the main culinary attraction of the resort. 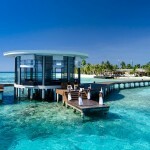 Let the 800 meter boat ride take you to a deserted island for a dining experience you will never forget. The notion of leaving the rest of the world behind while enjoying the finest ingredients is what makes Johara one of the best restaurant experiences you can have on your Maldives holiday. 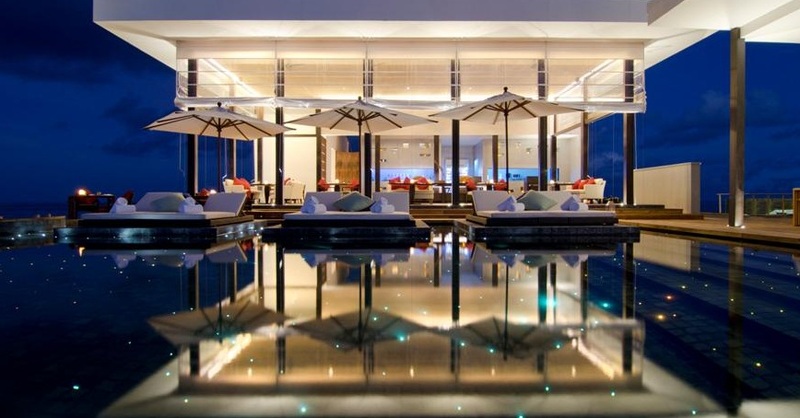 The Khibar offers nibbles and bar snacks, as well as snazzy cocktails to enjoy while watching the sun set across the ocean. 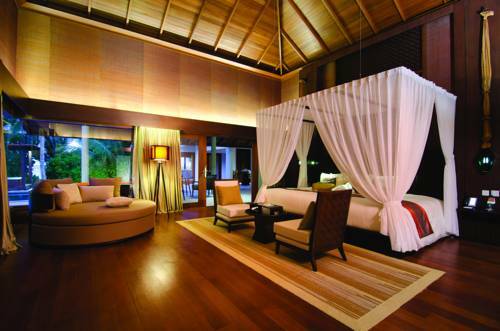 Simply Maldives Holidays offer a Bed and Breakfast package and a Half Board package to guests staying at Jumeirah Dhevanafushi. 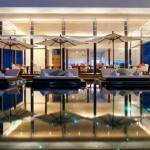 Please note that this complementary offer is subject to a minimum stay of 4 nights.